Bourjois is coming hard and fast with new on trend colour collections at the moment and today I thought I'd take you throughout a few of the things gracing the aisles at your local Boots or Superdrug. Now these only dropped through my door a few days ago so these aren't full reviews I just wanted to share what I thought was a really strong drugstore collection. Full reviews will follow, I've already tried the Lip colours and can report they are awesome! 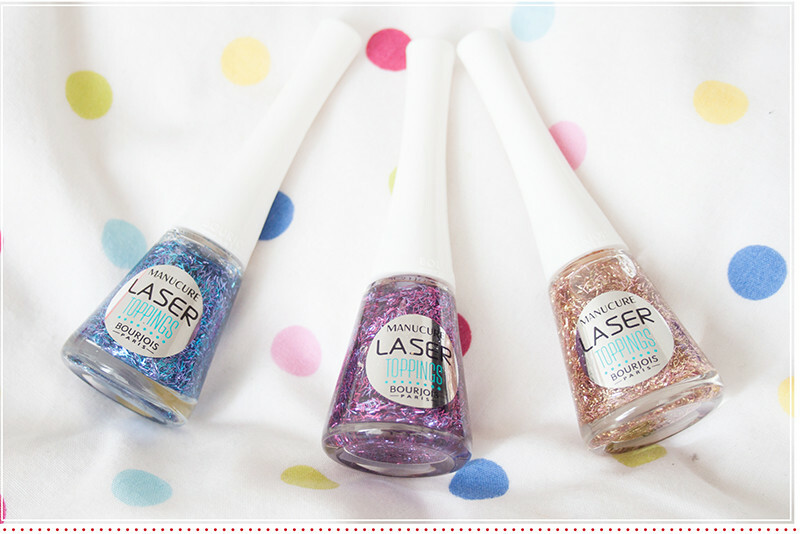 First up are the new Laser Toppings, coming in three shades Blue Neon, Sun Scales and Aqua Purple. 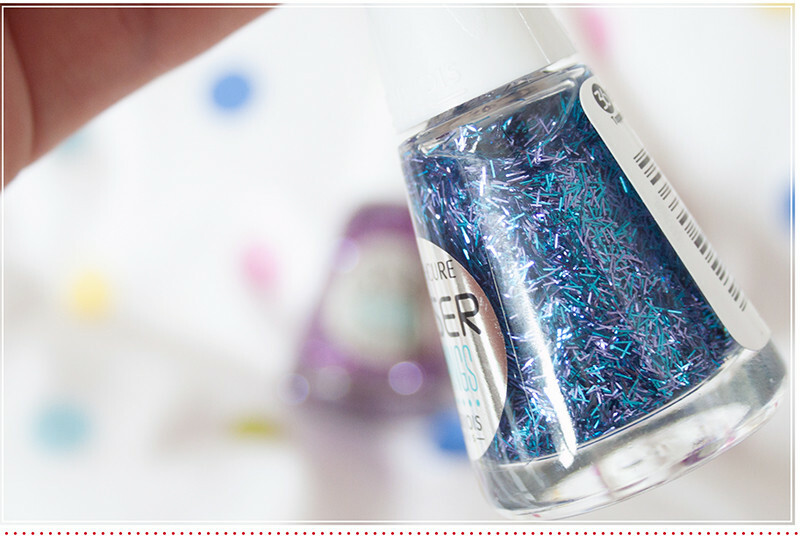 These are clear topcoats with light reflecting long strings of glitter suspended in them. These can be used as either a topcoat or layered up for opaque coverage. Then I have two new shades of the 1 Seconde Nail Enamel in In The Navy and Turquoise Block. 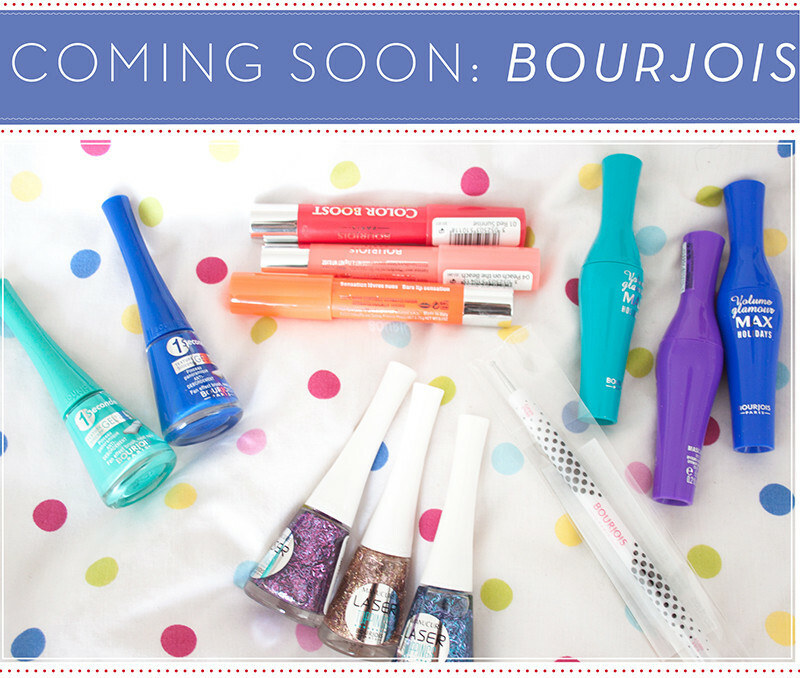 The 1 Seconde Nail formula from Bourjois is my absolutely all time favourite nail polish formula. Super glossy, quick drying and only needs one coat. 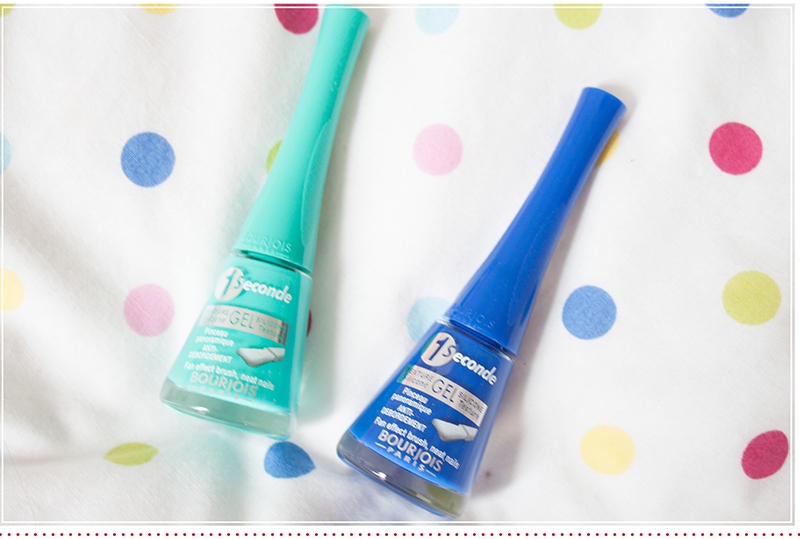 Perfect summery bright polishes for the hotter months. 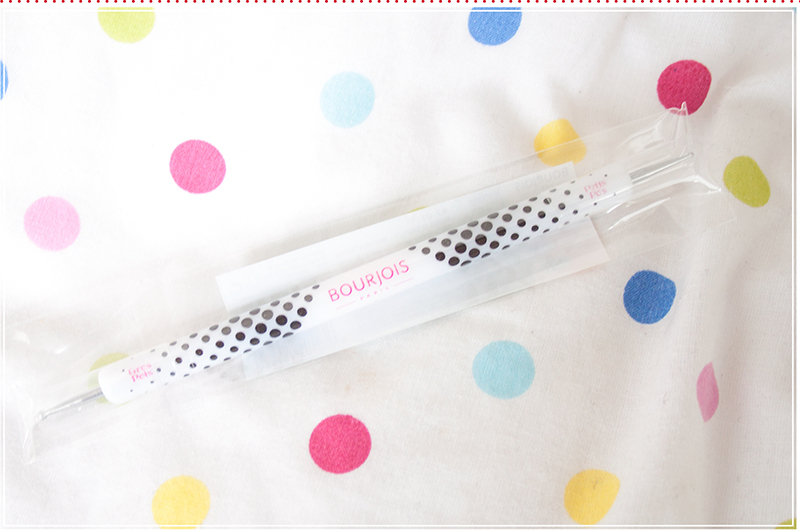 In other nail news from Bourjois they are also releasing their own branded dotting tool which is perfect for experimenting with nail art. One end is larger than the other so you can create two different sized dots. I personally think all you need is a dotting tool and it opens up a world of new nail art designs! 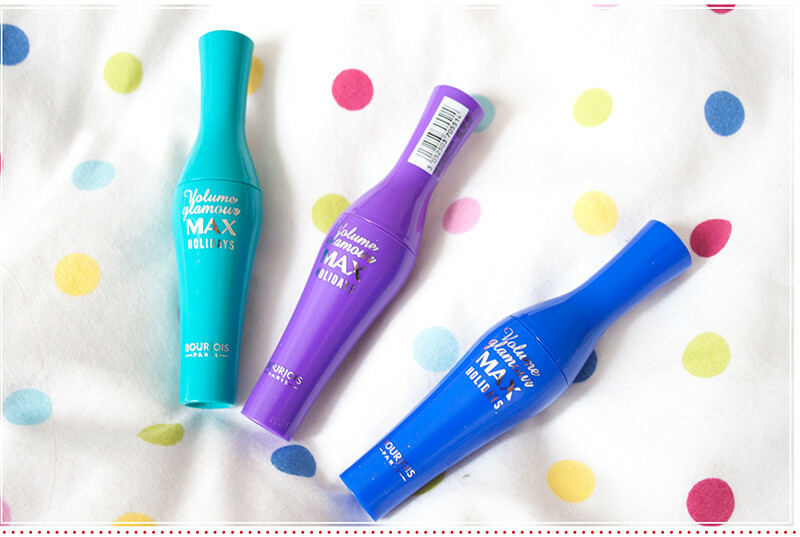 Next we have the Bourjois Volume Glamour Max mascaras which come in four shades: Ultra Black, Electric Blue, Green Lagoon and Purple Mania. These mascaras are all small, travel friendly sizes and are perfect for holidays. They claim to be 24 hour waterproof and give 10x volume to the lashes. I'll give these a whirl soon and report back on my findings. 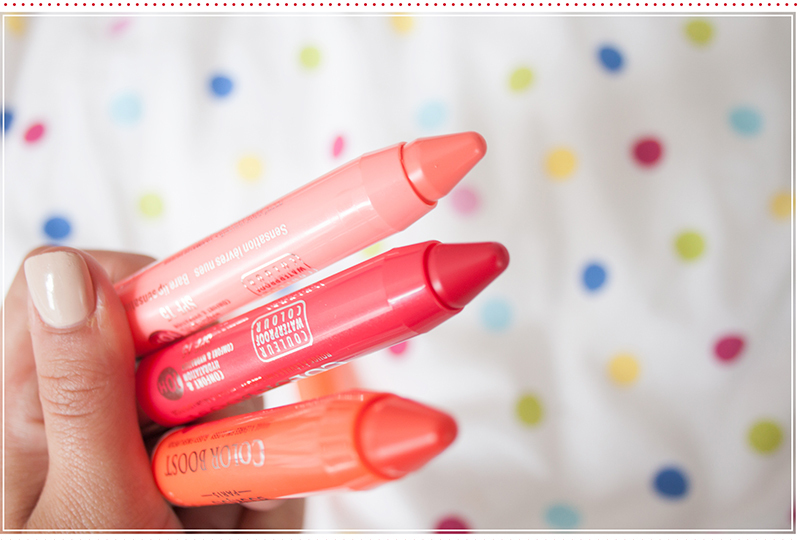 Coloured mascara is making a comeback in a big way so Im looking forward to trying them out! 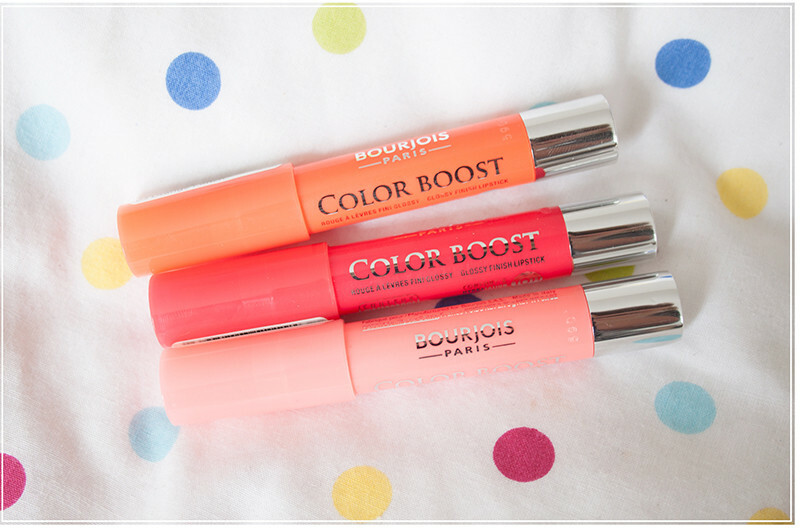 And lastly we have my favourite items from the new collections the Bourjois Colour Boost Lip pencils. Although I've not really been sold on the whole Chubby Lips trend (when will it end) I was excited to see the shade range in these. Colour Boost comes in four eye popping shades including Red Sunrise (summery red raspberry), Fushia Libre (bright pink with a hint of blue), Orange Punch (orange with a hint of red) and Peach On The Beach (pinky orange). The formula melts into the lips leaving a veil of colour and shine. Non sticky, super glossy and feel really lovely on the lips.